A new generation of Huawei’s hybrid smartband and Bluetooth headset, the TalkBand, is forthcoming, a leak from tipster Evan Blass has revealed. Blass, a well-respected leaker in the Android community, tweeted out an image (shown above) of what he called the Huawei TalkBand B5. The B5 follows the B3 (skipping over the number four for superstition’s sake) and features the same gimmick as its predecessors: the fitness tracking module can be popped out of the band to become a Bluetooth headset. The leaked image shows two bands — one with brown leather and a gold-hued frame for the fitness tracking module, and one all in what appears to be a silver metal. 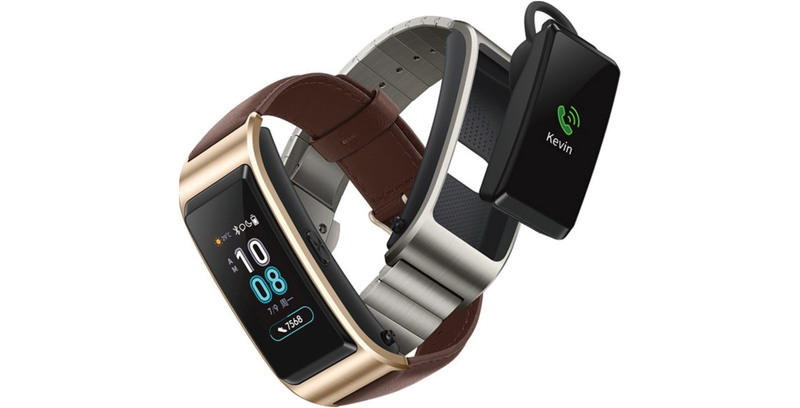 Huawei doesn’t have a history of bringing the TalkBand to North America through through any of its own channels, but older versions of the TalkBand are available at third-party resellers like Newegg Canada, so if and when it launches, the B5 may eventually make its way here. Whether it will be a reasonable price is another question. Currently one Newegg seller is offering the TalkBand B3 for roughly $400 CAD.